This article is about the Austrian philosopher. For the novella, see The Death of Ivan Ilyich. For the Russian philosopher, see Ivan Ilyin. Ivan Illich (/ɪˈvɑːn ˈɪlɪtʃ/; 4 September 1926 – 2 December 2002) was a Croatian-Austrian philosopher, Roman Catholic priest, and critic of the institutions of modern Western culture, who addressed contemporary practices in education, medicine, work, energy use, transportation, and economic development. The book that brought Ivan Illich to public attention was Deschooling Society published in 1971. It was a groundbreaking critique of compulsory mass education. He argued that the oppressive structure of the school system could not be reformed but must be dismantled in order to free humanity from the crippling effects of lifelong institutionalization. Illich was born in Vienna to a Croatian Catholic father, engineer Ivan Peter Illich, and a Sephardic Jewish mother, Ellen née Regenstreif-Ortlieb. His maternal grandmother was from Texas. Illich spoke Italian, Spanish, French, and German fluently. He later learned Croatian, the language of his grandfathers, then Ancient Greek and Latin, in addition to Portuguese, Hindi, English, and other languages. He studied histology and crystallography at the University of Florence (Italy) as well as theology and philosophy at the Pontifical Gregorian University in Rome (from 1942 to 1946), and medieval history in Salzburg. He wrote a dissertation focusing on the historian Arnold J. Toynbee and would return to that subject in his later years. In 1951, he "signed up to become a parish priest in one of New York's poorest neighborhoods—Washington Heights, on the northern tip of Manhattan, at that time a barrio of newly-arrived Puerto Rican immigrants." In 1956, at the age of 30, he was appointed vice rector of the Catholic University of Puerto Rico, "a position he managed to keep for several years before getting thrown out—Illich was just a little too loud in his criticism of the Vatican's pronouncements on birth control and comparatively demure silence about the bomb." It was in Puerto Rico that Illich met Everett Reimer and the two began to analyze their own functions as "educational" leaders. In 1959, he traveled throughout South America on foot and by bus. As a historian, I saw that it violated the American tradition of Church and State separation. As a politician, I predicted that there wasn't enough strength in Catholic ranks to create a meaningful platform and that failure of McManus's party would be disastrous on the already frail prestige of the Puerto Rican Church. As a theologian, I believe that the Church must always condemn injustice in the light of the Gospel, but never has the right to speak in favor of a specific political party. After Illich disobeyed a direct order from McManus forbidding all priests from dining with Governor Muñoz, the bishop ordered Illich to leave his post at the university, referring to his very presence as "dangerous to the Diocese of Ponce and its institutions." Despite this display of insubordination and an order from Paul Francis Tanner, then general secretary of the National Catholic Welfare Conference, forbidding Illich from any official role in the organization's Latin American bureau, Illich maintained the support of the influential priest John J. Considine, who continued to push for Illich to have a role in training the Church's missionaries, personally funding trips to Mexico in order for Illich to scout locations. In 1961, Illich founded the Centro Intercultural de Documentación (CIDOC, or Intercultural Documentation Center) at Cuernavaca in Mexico, ostensibly a research center offering language courses to missionaries from North America and volunteers of the Alliance for Progress program initiated by John F. Kennedy. His real intent was to document the participation of the Vatican in the "modern development" of the so-called Third World. Illich looked askance at the liberal pity or conservative imperiousness that motivated the rising tide of global industrial development. He viewed such emissaries as a form of industrial hegemony and, as such, an act of "war on subsistence". He sought to teach missionaries dispatched by the Church not to impose their own cultural values. "Throughout the late '60s and early '70s, CIDOC was part language school and part free university for intellectuals from all over the Americas." 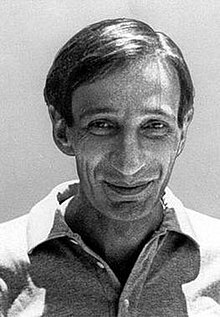 At the CIDOC, "Illich was able to develop his potent and highly influential critique of Third World development schemes and their fresh-faced agents: Kennedy's Alliance for Progress, the Peace Corps, and countless other missionary efforts bankrolled and organized by wealthy nations, foundations, and religious groups." After ten years, critical analysis from the CIDOC of the institutional actions by the Church brought the organization into conflict with the Vatican. Unpopular with the local chapter of Opus Dei, Illich was called to Rome for questioning, due in part to a CIA report. In 1976, Illich, apparently concerned by the influx of formal academics and the potential side effects of its own "institutionalization", shut the center down with consent from the other members of the CIDOC. Several of the members subsequently continued language schools in Cuernavaca, of which some still exist. Illich himself resigned from the active priesthood in the late-1960s (having attained the rank of monsignor), but continued to identify as a priest and occasionally performed private masses. In the 1970s, Illich was popular among leftist intellectuals in France, his thesis having been discussed in particular by André Gorz. However, his influence declined after the 1981 election of François Mitterrand as Illich was considered too pessimistic at a time when the French Left took control of the government. In the 1980s and beyond, Illich traveled extensively, mainly splitting his time between the United States, Mexico, and Germany. He held an appointment as a Visiting Professor of Philosophy, Science, Technology and Society at Penn State. He also taught at the University of Bremen and University of Hagen. During his last days of his life he admitted that he was greatly influenced by one of the Indian economists and adviser to M. K. Gandhi, J. C. Kumarappa, most notably, his book, Economy of Permanence. ... I loved Goodman very much, but not from the beginning. In 1951, as a twenty-six-year-old man newly arrived in New York, I went to a public debate. This strange person arrived and fascinated everybody with his way of presenting himself. I was just then having my first experiences of sitting through cold turkey with neighbourhood kids from Washington Heights, and this guy carefully phrased his proposal that New York immediately decriminalize all substances you can ingest, because otherwise the city of New York would become an unlivable city within the next few years. He had recently played a major part in getting a law passed which recognized that the state should not interfere with the private activities of consenting adults. Well, I was shocked! I would not have suspected that within three of four years we would be good friends and that during the last part of his life he would spend considerable time with me in Cuernavaca. I consider Goodman one of the great thinkers I've known, and also a tender, touching person. Illich died 2 December 2002 in Bremen, Germany. His last wish, to die surrounded by close collaborators amid the genesis of a new learning centre he had planned in Bologna, was not realised. Universal education through schooling is not feasible. It would be no more feasible if it were attempted by means of alternative institutions built on the style of present schools. Neither new attitudes of teachers toward their pupils nor the proliferation of educational hardware or software (in classroom or bedroom), nor finally the attempt to expand the pedagogue's responsibility until it engulfs his pupils' lifetimes will deliver universal education. The current search for new educational funnels must be reversed into the search for their institutional inverse: educational webs which heighten the opportunity for each one to transform each moment of his living into one of learning, sharing, and caring. We hope to contribute concepts needed by those who conduct such counterfoil research on education--and also to those who seek alternatives to other established service industries. The last sentence makes clear what the title suggests—that the institutionalization of education tends towards the institutionalization of society and that ideas for de-institutionalizing education may be a starting point for a de-institutionalized society. The operation of a peer-matching network would be simple. The user would identify himself by name and address and describe the activity for which he sought a peer. A computer would send him back the names and addresses of all those who had inserted the same description. It is amazing that such a simple utility has never been used on a broad scale for publicly valued activity. According to a contemporary review in The Libertarian Forum, "Illich's advocacy of the free market in education is the bone in the throat that is choking the public educators." Since Illich's opposition was not merely to publicly funded schooling, as with the libertarians, but to schooling as such; the disestablishment of schools was for him not a means to a free market in educational services, but a deschooled society, which was a more fundamental shift. As he later asserted in After Deschooling, What? (1973): 'We can disestablish schools, or we can deschool culture'. He actually opposed advocates of free-market education as "the most dangerous category of educational reformers." Tools for Conviviality (1973) was published only two years after Deschooling Society. In this new work Illich generalized the themes that he had previously applied to the field of education: the institutionalization of specialized knowledge, the dominant role of technocratic elites in industrial society, and the need to develop new instruments for the reconquest of practical knowledge by the average citizen. He wrote that "[e]lite professional groups ... have come to exert a 'radical monopoly' on such basic human activities as health, agriculture, home-building, and learning, leading to a 'war on subsistence' that robs peasant societies of their vital skills and know-how. The result of much economic development is very often not human flourishing but 'modernized poverty', dependency, and an out-of-control system in which the humans become worn-down mechanical parts." Illich proposed that we should "invert the present deep structure of tools" in order to "give people tools that guarantee their right to work with independent efficiency." Tools for Conviviality attracted worldwide attention. A résumé of it was published by French social philosopher André Gorz in Les Temps Modernes, under the title "Freeing the Future". The book's vision of tools that would be developed and maintained by a community of users had a significant influence on the first developers of the personal computer, notably Lee Felsenstein. In his Medical Nemesis, first published in 1975, also known as Limits to Medicine, Illich subjected contemporary Western medicine to detailed attack. He argued that the medicalization in recent decades of so many of life's vicissitudes—birth and death, for example—frequently caused more harm than good and rendered many people in effect lifelong patients. He marshalled a body of statistics to show what he considered the shocking extent of post-operative side-effects and drug-induced illness in advanced industrial society. He introduced to a wider public the notion of iatrogenic disease, which had been scientifically established a century earlier by British nurse Florence Nightingale (1820–1910). Others have since voiced similar views. In his speech of 1968 to the Conference on InterAmerican Student Projects (CIASP), Illich strongly opposes the presence of American missionaries in Mexico. Illich says that the presence of American's "do-gooders" is causing more harm than good. Rather, he suggests that the Americans should stay completely away from Latin America and stay in their homeland where they can at least know what they are doing. Die philosophischen Grundlagen der Geschichtsschreibung bei Arnold J. Toynbee. Salzburg: Diss. 1951. Celebration of Awareness. 1971. ISBN 978-0-7145-0837-5. Illich, Iván (1971). Deschooling Society. ISBN 978-0-06-012139-6. Tools for Conviviality. 1973. ISBN 978-0-06-080308-7. ,. Energy and Equity. 1974. ISBN 978-0-06-080327-8. Medical Nemesis. London: Calder & Boyars. 1974. ISBN 978-0-7145-1096-5. OCLC 224760852. Illich, Ivan (1975). Medical Nemesis. ISBN 978-0-394-71245-1. , ,. Illich, Ivan (1978). The Right to Useful Unemployment. ISBN 978-0-7145-2628-7. Illich, Ivan (1978). Toward a History of Needs. ISBN 978-0-394-41040-1. ,. Illich, Ivan (1981). Shadow Work. ISBN 978-0-7145-2711-6. ,. Illich, Ivan (1982). Gender. ISBN 978-0-394-52732-1. H2O and the Waters of Forgetfulness. 1985. ISBN 978-0-911005-06-6. Illich, Ivan (1992). In the Mirror of the Past. ISBN 978-0-7145-2937-0. Illich, Ivan (1993). In the Vineyard of the Text: A Commentary to Hugh's Didascalicon. ISBN 978-0-226-37235-8. Blasphemy: A Radical Critique of Our Technological Culture. We the People. Morristown, NJ: Aaron Press. July 1995. ISBN 978-1-882206-02-5.
interviews with David Cayley, ed. (1992). Ivan Illich in Conversation. Toronto: House of Anansi Press. The Rivers North of the Future - The Testament of Ivan Illich as told to David Cayley. Toronto: House of Anansi Press. 2005. ISBN 978-0-88784-714-1. David Cayley, ed. (2000). Corruption of Christianity. ISBN 978-0-660-18099-1. ^ "Ivan Illich - Austrian philosopher and priest". ^ "Ivan Illich". The Daily Telegraph. December 5, 2002. ^ a b c d e f g Paquot, Thierry (January 2003). "The Non-Conformist". Le Monde diplomatique. ^ "La résistance selon Ivan Illich". January 1, 2003. ^ Barton, Tim. "BLUE: OBITUARY - Ivan Illich". ^ a b c d e f Madar, Chase (February 1, 2010). "The People's Priest". The American Conservative. ^ a b c Hartch, Todd (2015). The Prophet of Cuernavaca: Ivan Illich and the Crisis of the West. Oxford University Press. p. 22. ISBN 9780190204563. ^ Gray, Francine du Plessix (1970). Divine Disobedience: Profiles in Catholic Radicalism. New York: Knopf. ^ Illich, Ivan (1999). "Editorial - 'Deschooling Society by Ivan Illich'. Marion Boyars Publishers, 1999. ^ Solomon Victus, Jesus and Mother Economy: An Introduction to the Theology of J.C.Kumarappa, New Delhi: ISPCK, 2007. ^ Cayley, David (1992). Ivan Illich in Conversation. House of Anansi Press. pp. 200–201. ISBN 9780887845246. ^ Todd, Andrew; La Cecla, Franco (December 9, 2002). "Ivan Illich". The Guardian. Retrieved January 11, 2018. ^ "Deschooling Society, by Ivan Illich". ^ Illich, Ivan (1976). After deschooling, what? (Repr. ed.). London: Writers and Readers Pub. Cooperative. p. 48. ISBN 978-0-904613-36-0. ^ Illich, Ivan (1977). Toward a history of needs. Berkley: Heyday Books. p. 78. ISBN 978-0-930588-26-7. ^ "Définition André Gorz". techno-science.net (in French). Encyclopédie scientifique en ligne. ^ "Convivial Cybernetic Devices, From Vacuum Tube Flip-Flops to the Singing Altair, An Interview with Lee Felsenstein (Part 1)". The Analytical Engine. Computer History Association of California. 3 (1). November 1995. ISSN 1071-6351. Archived from the original on August 25, 2005. ^ Illich, Ivan; Brown, Jerry (January 1, 2013). Beyond Economics and Ecology: The Radical Thought of Ivan Illich. Marion Boyars Publishers, Limited. ISBN 9780714531588 – via Google Books. Hansom, Paul (2001). Twentieth-century European cultural theorists. Detroit, Mich.: Gale Group. p. 212. ISBN 978-0-7876-4659-2. Illich, Ivan (1973). Tools for Conviviality. ISBN 978-0-06-080308-7. ,. Illich, Ivan (1974). Medical Nemesis. London: Calder & Boyars. ISBN 978-0-7145-1096-5. OCLC 224760852. Brown, Jerry (March 2003). "A Voice for Conviviality". Utne Reader. Derber, Charles; Schwartz, William A.; Magrass, Yale (1990). Power in the Highest Degree: Professionals and the Rise of a New Mandarin Order. Oxford University Press. Gabbard, D. A. (1993). Silencing Ivan Illich: A Foucauldian Analysis of Intellectual Exclusion. New York: Austin & Winfield. ISBN 978-1-880921-17-3. Winkler, J.T. The intellectual celebrity syndrome. Lancet, 1987 Feb.21, 1: 450. Wright, Pearce (January 11, 2003). "Obituary: Ivan Illich". The Lancet. 361 (9352): 185. doi:10.1016/S0140-6736(03)12233-7. ISSN 0140-6736. Wtp.org: Ivan Illich with Jerry Brown — KPFA, 22 March 22, 1996. Wikimedia Commons has media related to Ivan Illich. The International Journal of Illich Studies — an open access, interdisciplinary, peer-reviewed annual publication engaging the thought/writing of Ivan Illich and his circle.